I'm always looking for new salads to make and this is my newest one. 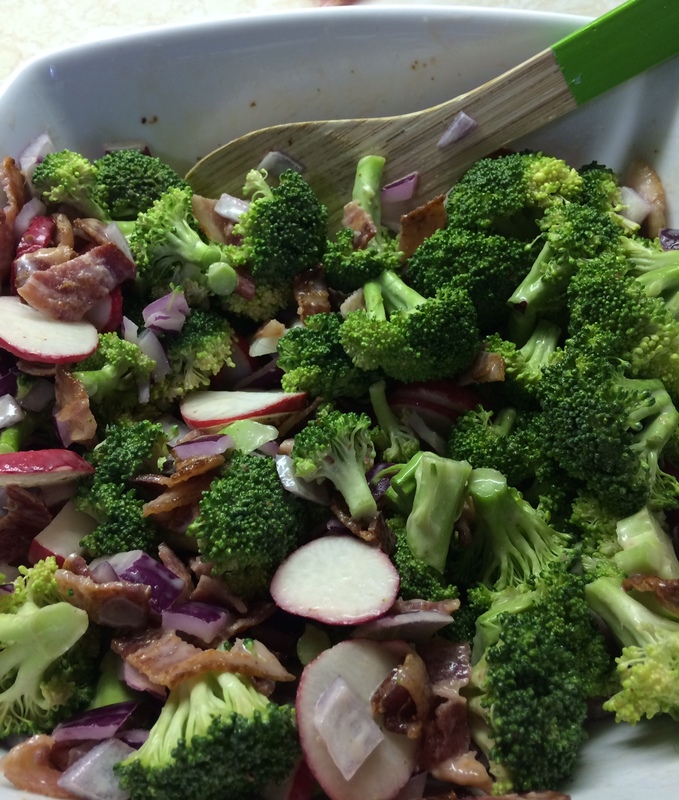 To a large bowl add the broccoli, red onion, radishes, sunflower seeds, and bacon and toss. In a small bowl combine the mayonnaise, sugar, and red wine vinegar. Whisk until mixed really well. For more Broccoli salad recipes by yours truly, please follow the links. Have a wonderful day!